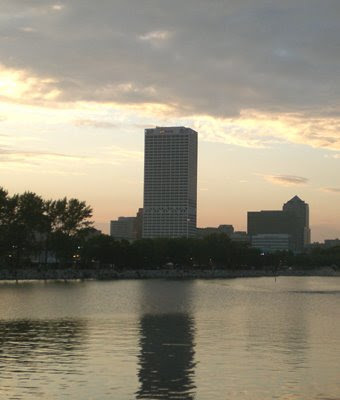 I caught this photo of the Milwaukee skyline just past sunset one summer evening, taken from the south end of the lagoon at Maier Festival Park. The US Bank Center, in the center of the picture, is the largest building in the state. That's an pretty good reflection shot.